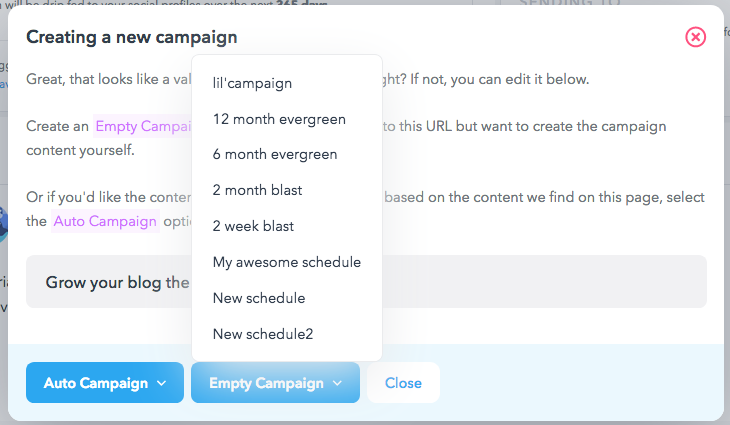 Apart from editing the title of your campaign, you can also select the type of campaigns you can create. These are regular campaigns which instruct our scrapper to go to the link you have provided and extract any content we may find in order to create content suggestions. 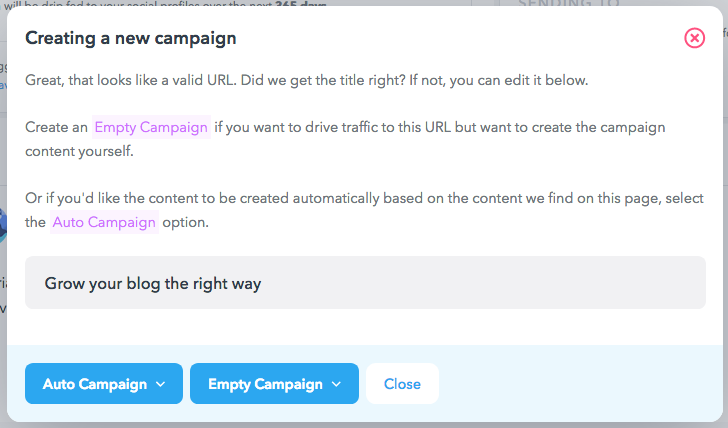 These don't extract any content from the link you have added - instead a completely empty campaign is created, populated with nothing but the title of the camaign and shortened link. 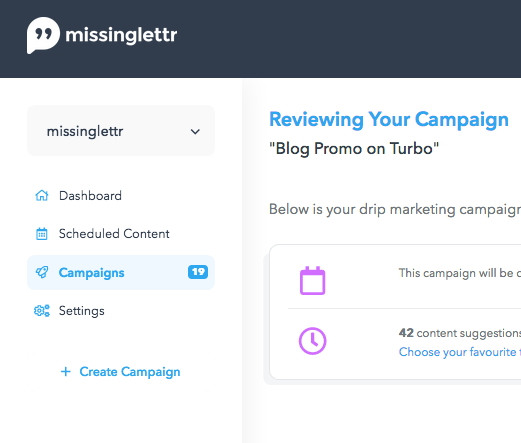 You can freely add any content you wish to promote through your campaign.